Celia is an experienced family solicitor who undertakes all areas of family law including divorce and civil partnership dissolution, financial and property matters, cases involving children, co-habitee disputes and injunctions. Celia qualified as a Solicitor in August 2000. Celia is a trained Collaborative Family Lawyer and a member of Resolution, as well as a qualified family mediator. 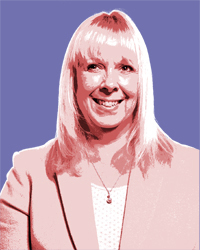 Celia fully supports the ethos that family law disputes should be dealt with in a constructive and conciliatory way, without the need for court proceedings. However, she is a competent and experienced advocate and has the experience to guide clients through the court process where necessary. Celia is passionate about helping families to navigate the sometimes difficult journey of separation and divorce in a positive and constructive way with a strong focus on ensuring that children are protected from their parents break up. Celia has conducted many very successful Collaborative Arbitrations where the parties have reached amicable agreements following separation in respect of both arrangements for their children and their financial settlement. Using the collaborative process enables couples to resolve their disputes in a constructive, focused and supportive way enabling them to co-parent more successfully in the future. Celia appreciates that all her clients are individuals and will be affected differently at times of extreme stress and anxiety. That is why she gives them the time to talk through their issues and ensure they are fully appraised of all of the options available to them. As a Resolution qualified Family Mediator Celia is able to offer couples separating an alternative process for resolving any issues that they have from arrangements for the children to a financial settlement. Mediation helps couples to discuss their issues in a supported and safe environment with the emphasis being on reaching their own solution, which particularly helps couples to co-parent post separation.